The Council of Islamic Organizations of Greater Chicago (CIOGC) cordially invites you to the Sixth Annual Pillars Dinner on April 27, 2019 from 5:30pm to 8pm at the Doubletree Hotel in Oak Brook, Illinois. Enjoy an evening with fellow Pillars and become a Pillar by attending the event and sharing your vision on CIOGC’s future direction. RSVP for the CIOGC 2019 Pillars Dinner! 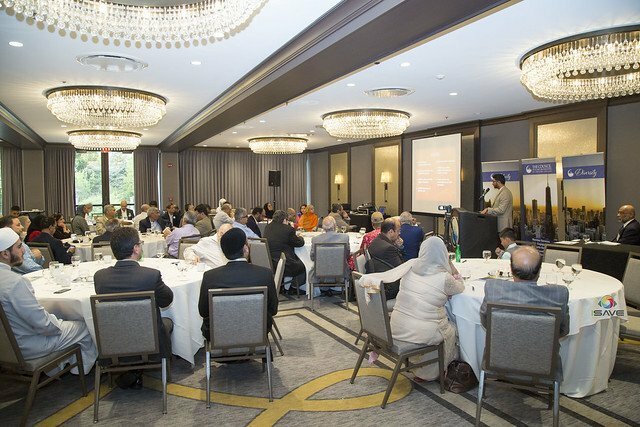 For over 26 years, CIOGC has successfully united the Chicagoland Muslim community and established a unified Muslim voice and networking platform. Unites Muslim organizations throughout Chicagoland. Promotes a positive narrative of Islam and Muslims in the mainstream media through CIOGC media. Presents a unified Muslim voice. Strengthens relationships with other faiths. Helps Muslim youth become better Muslims and American citizens. as an appreciation of your support as a Pillar in the past and with a request to recommit for 2019. In anticipation of your desire to be a new Pillar in 2019. To share your vision on CIOGC’s future direction.